Several destructive termite species exist within every region of Texas, but cities in the southeast near the Gulf Coast have been seeing a dramatic rise in termite infestations over the past few years. Last summer it was reported that the invasive Formosan termite species had been establishing colonies within new areas of Houston and Galveston. During 2017, San Antonio and surrounding towns saw a whopping increase in termite infestation cases within homes and buildings. Infestation cases also exploded in other southeastern cities during 2017. 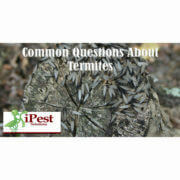 That same year, San Antonio was ranked as the second most termite-infested city in the United States. And earlier this year, two Texas cities, Tyler-Longview and Dallas, made the top ten list of most termite infested cities in America. Last month entomologists and pest control professionals in Texas claimed that the southeastern portion of the state will soon see frequent and large sized termite swarms. 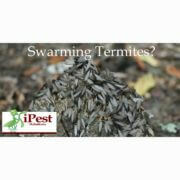 The increase in termite swarms and infestation rates in southeast Texas is due to a few factors. First of all, Formosan subterranean termites are still spreading to new areas of Texas, mostly in the east and southeast region of the state. Climatic conditions, particularly short mild winters and frequent rainfall, are also contributing to the termite explosion within the state. Native subterranean termites typically swarm during the late winter and early spring seasons in Texas, but a cold winter and a lack of rainfall may have postponed their seasonal swarms. Formosan subterranean termites typically swarm toward the beginning of May in Texas, and considering the growing Formosan termite population in the southeast region, cities like Houston, Galveston, Baytown and even San Antonio are likely to see frequent and massively sized Formosan termite swarms in about two weeks from now. Formosan subterranean swarms are known for being relatively sizable, as their colonies contain up to 50 million termites, which is far more than the mere 50,000 that can exist within a native termite colony. 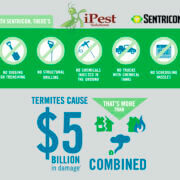 Do you think that 2019 will see a record amount of termite infestation cases in Texas? https://www.wacopest.com/wp-content/uploads/2018/07/02-2.jpg 430 1500 John https://www.wacopest.com/wp-content/uploads/2018/04/ipest-solutions-logo.png John2019-04-11 09:16:532019-04-11 09:16:53Why Are Termite Infestation Cases Increasing In Southeast Texas? WDI Inspections for new home buying. Inspect before you buy! 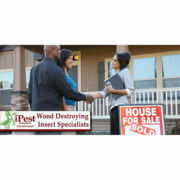 What Makes A Particular House Attractive To Destructive Termites? 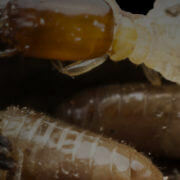 Do All Termite Species Produce Large Amounts Of Greenhouse Gases?